Transform Your Patio and Lawn Areas with a Water Feature Powered by Mains or Solar energy, Create a Focal Point in Your garden & Enjoy the sight and sound of Relaxing Trickling Water. Best Prices & FREE Guaranteed Delivery !!! 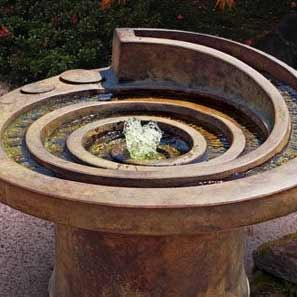 Powerbee offer the BEST Prices on Garden Fountain Features, Our Prices Include Guaranteed Delivery and VAT. We use Tracked Services, at NO extra cost. Our Range of DIY and Ready Made Powered Garden Features, are designed to transform your Garden & to create a mesmerising focal point. We take great care in selecting every single product we sell, it must meet the Powerbee Standard of Quality which is High. We have a warm and welcoming approach to all our customers as we are UK based, and can advise on any Installation or question, Just Ask for Nath on : 0845 094 8821.